Tidy gardens offer a wide range of garden services in east london, north london and outskirts of essex... Click here for more details. If your looking for a local gardener in walthamstow a decking installation in woodford or a patio jet washed in enfield , give us a call today!! Here at tidy gardens we can undertake anything from a small fence repair to a large landscaping garden project. if your looking for a gardener in E17 or landscape gardener in E4 to lay a new patio.. call us first for a service you can trust, with many happy customer references on request. We provide quality local garden, & garden clearance services in E17,E4,E18,E11,IG8,IG10 including decking, landscaping, turfing ,garden fencing,paving,jet washing,garden clearance's ,raised beds, sleepers, pergolas. 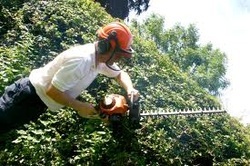 Tidy gardens , garden services in london, have built a reputation of excellent garden work @ affordable prices. We believe in the philosophy of having pride in every gardening job we undertake We visit your garden, discuss the gardening work you want doing, and give you a price for the job .... no deceiving hourly rates.."the price we quote is the price you pay"!! If you are looking for a local garden service / gardener E4 ,E18,E11. Call us today!! We offer a complete landscaping service in walthamstow E17 , chingford E4, south woodford E18, woodford green IG8, wanstead E11 , and surrounding areas. 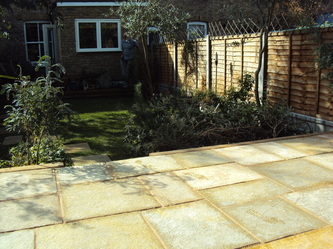 A landscape gardener is more a garden build service. Here at tidy gardens can undertake a complete overhaul of your garden including....Wooden Decking ,a new sandstone or natural stone patio area, wooden fencing or a new lawn ,which we can undertake as a one stop shop. We have undertaken many landscape gardening jobs in the east london & north london area's including landscaping in E17 ,E4,E18,E11,IG8,IG10 , N21,N22,N15,N1 and many more local areas. We always strive to do our clients landscaping project to the best of our ability's and pride ourselves on being honest and fair all the way through the job ! We have many happy customer references available!!.... Visit our maine site for more landscaping garden images & info !! Tidy garden can supply and lay a new lawn for you. Turfing gives your garden an instant makeover with most average sized gardens only taking a day to complete , you wake up with a beautiful new lawn ready to enjoy this summer! We only use good quality hard wearing turf with a premium top soil that we can use to give a level pristine finish to your new lawn . 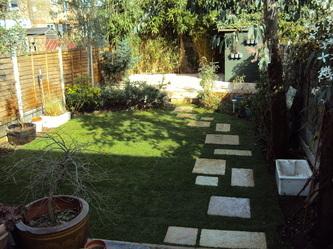 For a quality turfing service london , turfing E17, turfing E4, turfing services east London .. call us today!! the job, we can then send you a writen quotation for the work with no hidden cost!! Visit our maine site for previous work images & more info . 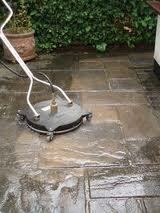 Call us today for quality jet washing services you can rely on!! copyright c 2008 Tidy Gardens. All Rights Reserved.